In Indonesia, the recent use of plastic in rural areas has led to a serious pollution of the environment, most specifically in rivers, which are now open-air dumps. 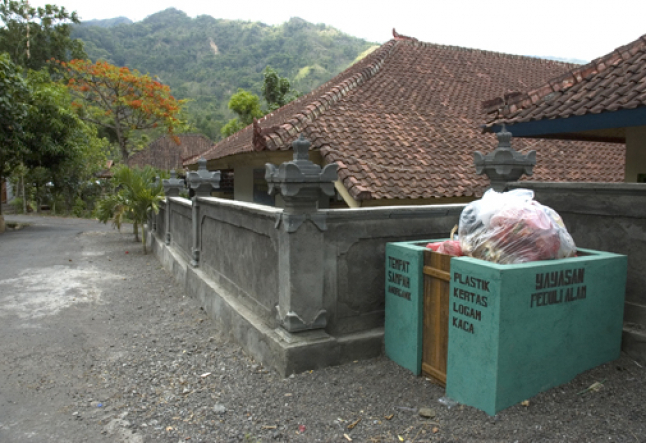 The Association Peduli Alam acts to collect domestic garbage and helps villagers to find simple and appropriate solutions for their waste. The Amed area, located in the Eastern part of Bali, Indonesia, is renowned for its wonderful diving spots and amazing underwater world. However, the rapid increase in population in this area, coupled with a way of life that is caught between tradition and modernity, has led to large amounts of waste plastic that is drastically damaging the environment. Thrown away by locals who do not understand the consequences of their behavior, plastic quickly infiltrates the ecosystem and threatens biodiversity. Permeating rivers, rice fields, villages, beaches and the ocean, it also endangers the health of the villagers. The Indo-French association Peduli Alam was founded in 2009 in response to these alarming circumstances. 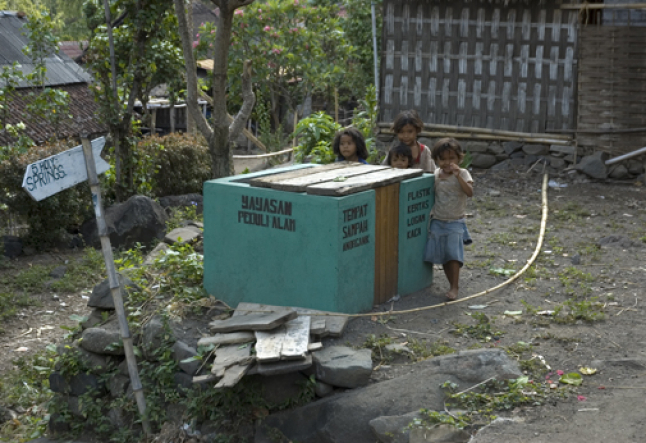 Peduli Alam, which means “protect nature” in Indonesian, works in several rural areas around Amed, a largely neglected area where 80% of the population live beneath the poverty line. The main goal of the association is to provide people from remote villages with a service of domestic non-organic garbage collection, thereby helping to protect the environment. So Peduli Alam started an entire project: a campaign to provide appropriate teaching in schools and villages with a full infrastructure to collect garbage. A free, sustainable and simple solution. The association works with a team of local Balinese coordinators and educators who mainly focus on improving awareness and changing current mindsets about waste disposal. The association has devised a course that is geared towards children in local schools, made up of theory and learning activities and encouraging participation. In addition to this educational aspect of the program, the association also operates in a hands-on capacity and provides the necessary materials for the collection and disposal of waste. The equipment to collect domestic waste is installed in the villages: 100 public waste tanks have been built on a territory of more than 12km2, 150 individual bins have been distributed in local groceries, and a truck collects more than 5m³ each time. Once collected, the truck brings the whole collect to a governmental dump where waste is collected and then separated for recycling, where it is eventually sold to a recycling factory in Java. The association is currently working on developing solutions to re-use plastic in order to diminish its impact on the environment. In the last three years, the association has witnessed the results of its labor. Waste disposal units are used and full on a regular basis, a sure sign that the population is increasingly aware of the importance of collecting its plastic.